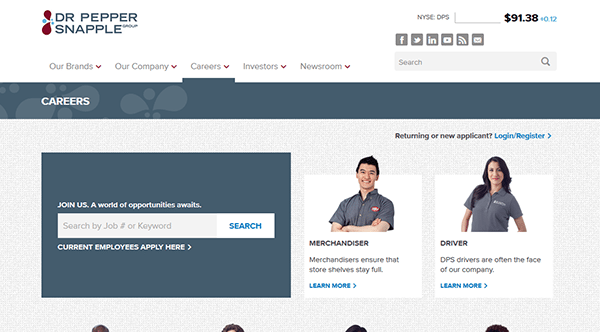 Several different types of careers can be searched for on the company’s main careers site. 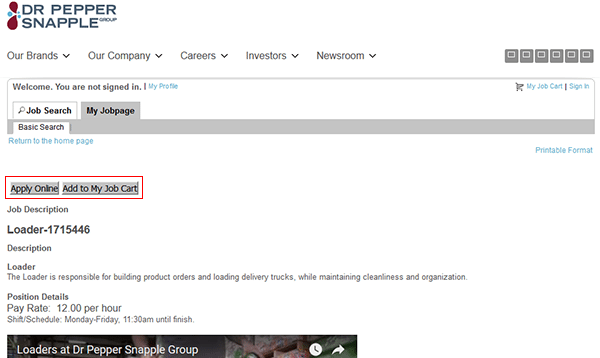 Examples of some of the careers that are available to be applied for (by filling out the official Dr Pepper job application) include merchandiser, driver, loader, account manager, and brand manager (to name a few). Follow the steps in the instructions posted below to learn how to search for openings in your area and submit an application. About the Company: Dr Pepper is an American brand of soda that was created in 1885. The brand is manufactured/distributed by several different companies (the brand’s U.S. manufacturer is the Dr Pepper Snapple Group). The Dr Pepper Snapple Group is headquartered out of Plano, Texas and employs over 18,000 people. Step 2 – Enter a keyword into the input field and then hit the “Search” button to load the list of results. 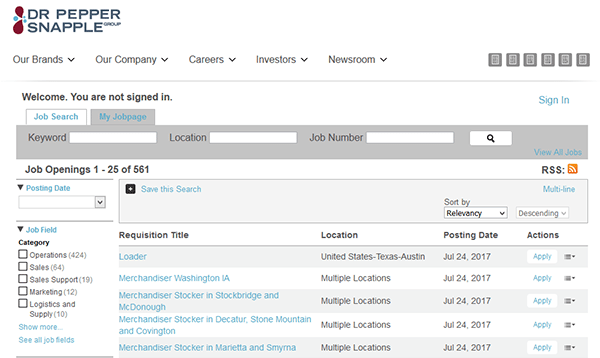 You can also scroll down the page and click the “View All Recent Openings” link to load a list of current openings. 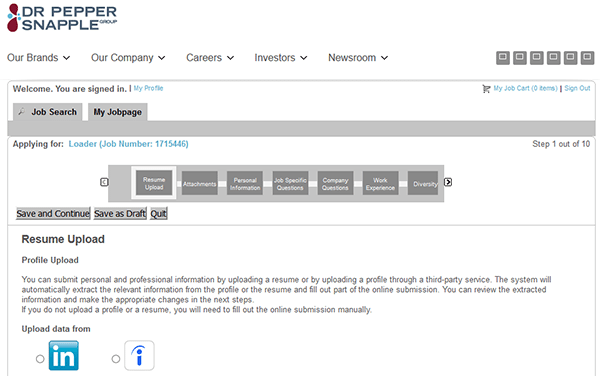 Step 3 – The list of job openings can be sorted by filling out the form on the left side of the page. Press the title/link of the position that you’re interested in applying for. Step 4 – Review the job’s description, responsibilities, qualifications, etc. and then click the button as shown in the below image. Step 5 – Log in to your account. If you’re a new user click the “New User” button (below the login form) to go to the registration page. 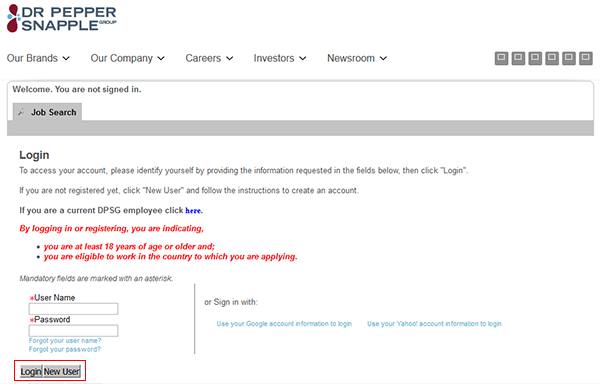 Step 6 – Fill in your email address and then create a password. Click the “Register” button to go to the next step. Step 7 – Resume Upload – Import/upload your resume. Step 8 – Remaining sections – Fill in the required details for each of the remaining sections/subsections of the online application form.